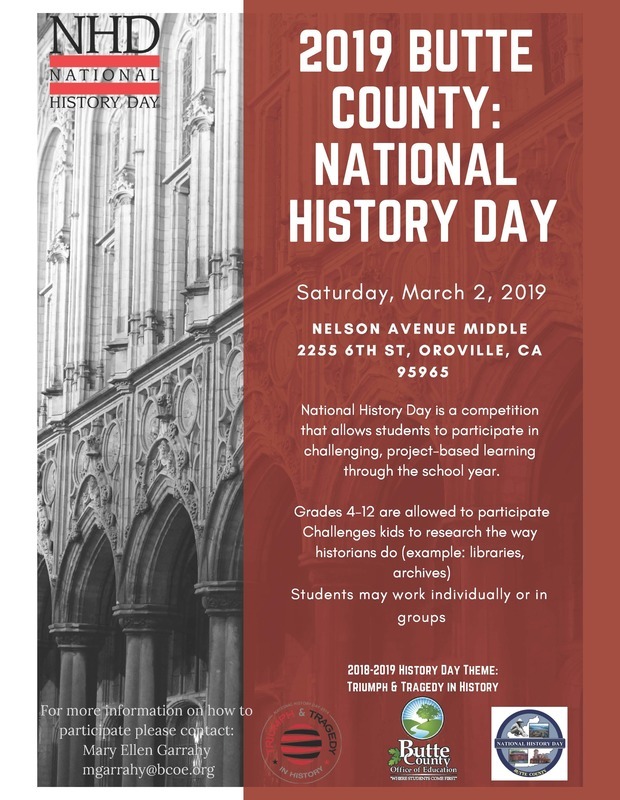 This year’s Butte County National History Day is being hosted at Nelson Avenue Middle School, on Saturday, March 2, 2019 from 9pm - 5pm. National History Day is a competition that engages kids to participate in challenging, project-based learning throughout the school year. Students select a topic and begin researching it like a historian, using libraries, archives and even museums to find facts and evidence to create their projects. 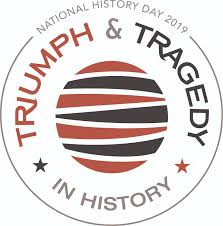 This year’s National History Day Theme is: Triumph & Tragedy in History. Students my work individually or in teams, and get to choose from six different contest categories to complete their projects.